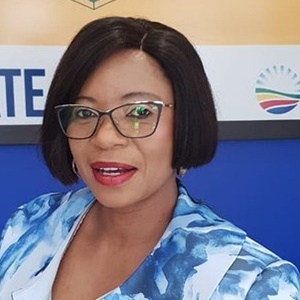 Ace Magashule's tenure as premier was characterised by mafia-style tactics of governing and rudderless leadership from which underhanded business dealings and state capture emerged, according to the DA's Free State premier candidate Patricia Kopane. She claims Magashule ran "a well-executed state capture network while receiving a 10% share of every government contract" in that province. Kopane was speaking a day after revelations emerged from journalist Pieter-Louis Myburgh's book, Gangster State, unravelling Ace Magashule's web of capture. The book explores Magashule's role in the Free State, where he served as longtime ANC chairperson and premier. At a media briefing in Bloemfontein on Monday, Kopane named some of the failed projects in the province which Magashule allegedly oversaw. "The construction of the provincial legislature complex which government initiated in 2010, and has spent approximately R120m on demolition works and supposedly securing the site for further development, is now completely dilapidated through willful neglect, looting and vandalism," she said. The "dilapidated site" is that of the Old Ramkraal Prison in Bloemfontein. Kopane also referred to the 2011 Textile Workers Pension Fund Scandal, in which Magashule was allegedly embroiled. "His company, Leading Prospect Trading, received a R15m interest free loan from Canyon Springs Investments 12, who obtained the money from textile workers' pension funds. The loan agreement, signed in May 2007, was never returned after the company deregistered," Kopane added. She also did not leave out the R342m Estina Diary Farm contract approved by Magashule's office. "Estina was irregularly paid R184m directly into its account by the provincial government for the construction of a dairy, processing plant, cow sheds, and other infrastructure. The Free State government has paid R184m to Estina, of which R30m ended up funding the lavish Gupta wedding at Sun City," continued Kopane. Kopane further went on to reveal that Magashule, during his tenure as premier, allegedly manipulated the awarding of lease agreements for the offices of government departments to benefit a few close allies and himself. "We will report this information to the Zondo commission, in addition to the dossier we have sent to the commission earlier this year, and which encapsulates the information set out above," Kopane said. Kopane said that the DA had proof that, in awarding the lease agreements, the Public Finance Management Act was contravened in every instance. "The lease agreements in each and every instance were signed by either Magashule, in his capacity as premier, or the relevant Member of his Executive Council". "This is a serious breach of the Public Finance Management Act which prescribes that the accounting officer, be it a Director General or a Head of Department, is the person having the authority to bind the provincial government in contracts, Kopane added. The ANC secretary general said on Monday that he was considering taking legal action against Myburgh over his book.